Immediate possession on this 2 Story Brick home, located in a convenient east-side neighborhood, with 2 Car Garage. Needs some TLC, and is priced accordingly! Large covered front porch greets you. The Entry has a pretty slate floor. The Living Room is spacious and has a storage closet that goes under the stairway. The Eat-In Kitchen has white cabinets, linoleum flooring, and the refrigerator and smooth-top stove are included. The Utility Room runs across the back of the home and is where the Laundry, HVAC, Water heater, 100 amp breaker box, and space for storage shelves. There are 2 large Bedrooms upstairs, and the Master has a walk-in closet. The Bath has a tub/shower combo with ceramic tile, shelving, and there is a large mirror in the garage to hang on the wall. About ½ of the windows in the home have been replaced, and the attic is insulated per owner. The 2 Car Detached Garage offers plenty of storage, has electricity, and a service door on the side. The backyard is fenced on 3 sides. 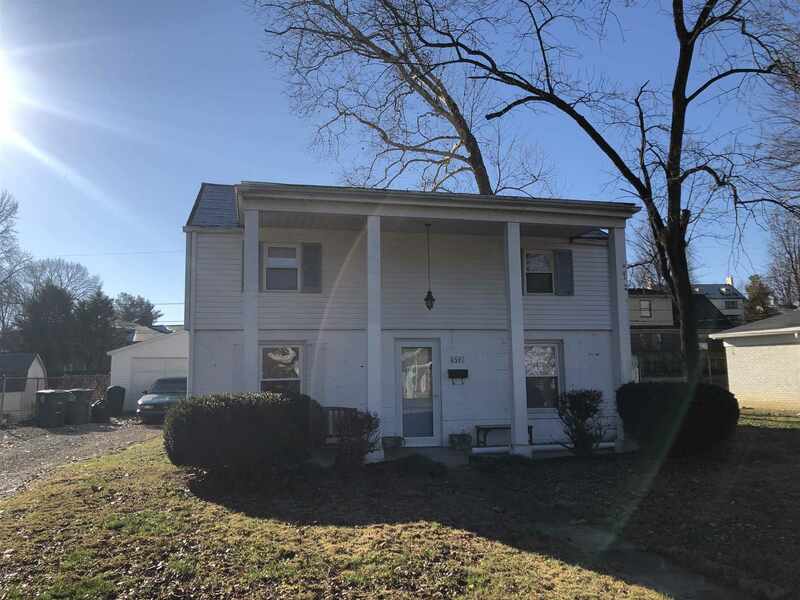 With some TLC such as paint and carpet, you can own a nice home in an established neighborhood in the Hebron, Plaza, and Harrison School Districts. Property to be sold AS-IS.